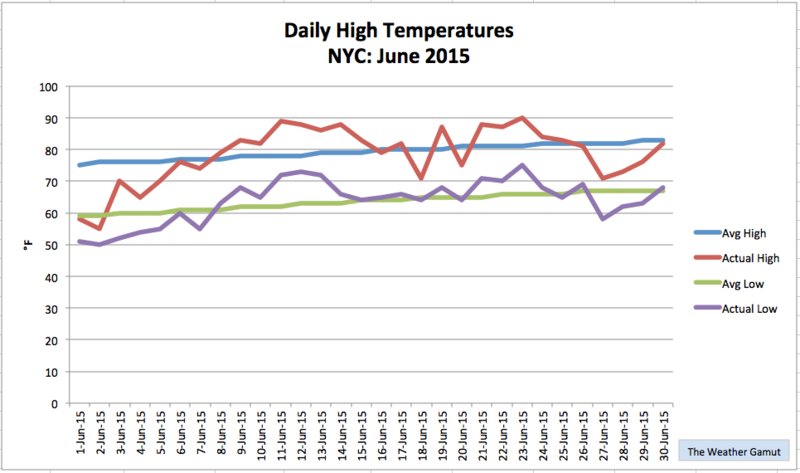 June 2015 felt a bit like a weather rollercoaster in New York City. We had highs that ranged from an unseasonably cool 55°F to our first 90-degree day of the year. In the end, however, the cold and warmth averaged each other out. The city’s mean temperature for the month was 71.2°F, which is only 0.2°F below normal. On the precipitation side of things, the city had 14 days with measurable rainfall. In all, we received 4.79 inches of rain, which is 0.38 inches above normal. Of this total, 1.41 inches fell in a heavy rain event during the last weekend of the month. 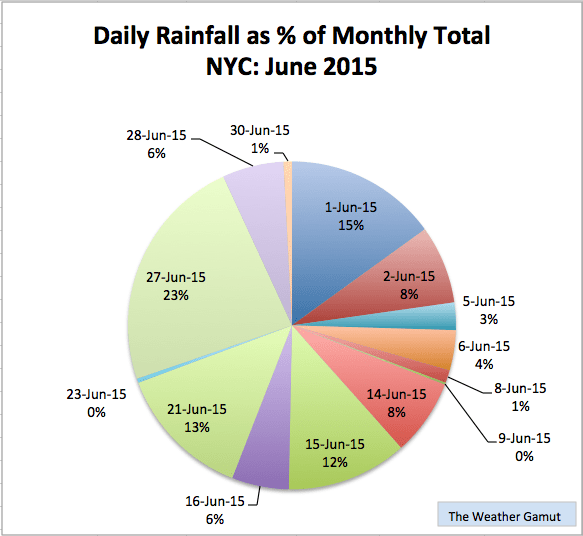 June marked the first time since March that the city had above average monthly rainfall. This entry was posted in weather and tagged nyc, rain, stats, summer by Melissa Fleming. Bookmark the permalink.